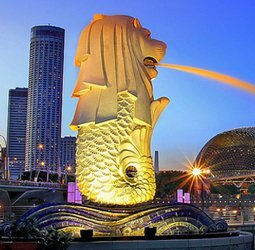 Singapore, the “Lion City” is known for its economy and financial success. The nation is among four “Asian Tiger” economies (along with Hong Kong, South Korea and Taiwan) apart from this, it’s also one of the leading education hub in Asia , Education is priority in Singapore and the nation is recognized as a ‘global schoolhouse’. This island nation is famous for its universities and student friendly climate. It has been seen in global surveys on research and innovation, Singapore is the most prominent country in the list. It may be a small country, but scope for higher education in Singapore is significant. English is the officially designated language for the education system. Every year, an increasing number of international students at all levels of education makes the decision to study for their degrees in Singapore. Quality Education: Universities & institutions of Singapore are being taken care by Ministry of education (MOE) which aims high quality and maintain strong education system which encourage student to follow their passions, and promote a diversity of talents among them – in academic fields, and in sports and the arts. Research & innovation: Singapore is also a hot-bed of technological and IT invention and innovation. It has been named the most innovative country throughout the entire Asia Pacific region. In 2016, Singapore ranked 6th in the INSEAD Global Innovation Index Rankings. Excellent Education Hub: From decades, Singapore has full-bown from its traditional British-based education system. It ensures a comprehensive education environment. Not just that, Singapore is a known pivot for management studies. More than 16 leading foreign universities have also set up centers of excellence in education and research there. Global Business Hub: More than 7000 Multinational Corporations (MNC) alongside 1,00,000 small and medium enterprises (SME) have set up their base in Singapore which offers limitless career opportunities and networking possibilities to all international students. Stable Economy: Singapore is an amazing place with dynamic economy. It has been top rated country in term of doing business across the world. It is mainly pushed by the fact that it is a well- known financial centre and all major companies of the world have created their base in Singapore. Multi-Cultural Nation: Singapore's high standards of living are something that student can be assured of. The nation's rich multicultural heritage is highlighted through the various ethnic groups (Chinese, Malays, Indians, Eurasians) living together harmoniously. The variety of religions is a direct reflection of the diversity of races living here. Work opportunities: Singapore is one of the most attractive countries for foreigners seeking highly-skilled work and being a hub for business and high-tech industries in South-East Asia, Singapore offers a wide-range of opportunities, notably in key sectors such as banking and finance, biomedical sciences, chemicals, communications and media, electronics, healthcare and information technologies. Comfortable living: Singapore is regarded as the easiest city to adjust in Asia, specifically for international students. Singapore is a small island but known for all over attraction and activities. Dining and Shopping are two of the top rated activities of Singaporeans. It is also strategically located at the heart of Asia and can be a hub to explore the Southeast Asian region. Education has always been the key to growth for development of Singapore, particularly since 1965, when it became independent republic. Singapore’s universities education aspires to prepare students not only for today’s world but also for a world where there will be jobs that have yet to be invented and challenges not yet foreseen. Education System in Singapore comprised with pre-schooling, primary education, secondary education, pre-university education and higher education. The Ministry of Education is the main official Government body of Singapore that directs the formulation and implementation of policies related to Singapore. The education system in Singapore with its flexibility and diversity has joined ranks with the existent leading education systems of the world and has emerged as a premier destination to pursue higher education in world-class universities with state-of-the-art infrastructure. With its highly affordable education and top-notch courses in computer science, law and animation, Singapore is an excellent study destination for international students. Many of Singapore’s institutions of higher education are internationally ranked, with so many good course opportunities in various fields. Additionally, institutions from the USA, UK and Australia have opened satellite campuses in Singapore to offer their courses at a subsidized cost. International student’s desires to pursue education in Singapore will enjoy access to world-class technology in conducive learning environment. College students have a wide choice when it comes to accommodation. Being an international student you’ll need a place to lay your head at night and relax too! And you can choose any suitable accommodation in any location. On Campus – living in university campus will be a great option. Generally first year student choose it. It will minimize student’s travel expenses and on other hand, give you option to live in campus with classmates and friends also. Off Campus – Many Students choose off campus option (Private, rented accommodation) as they want to explore their life beyond the campus. You can live in private hostels which are run by educational institutions or independent agencies. Home stay – Some local families in Singapore open up their homes and offer full boarding to international students. A home-stay programme lets you sample the local flavors of life in Singapore, as well as enjoy a homely environment. *These amounts will vary accordingly depending on your personal needs and lifestyle pattern. The main academic intake takes place in September each year with a smaller intake is January and the deadline for September intake is June. There is a range of entry requirements that you need to meet both for your visa application and University criteria i.e. academic requirements, English language requirements etc. International students who wish to study in Singapore will need a valid visa. In order to apply for a study visa you have to go for application process which is linked to university application and student accept study visa with their letter of approval. This letter works as a visa and it can be used at entry checkpoints. Apart from this, for Singapore visa you will require one more important document i.e. a student pass. You need to apply two month earlier before your course commence. To obtain your Student Pass, you have to sign up with the special Student’s Pass Online Application & Registration System (SOLAR). A Student Pass allows you to work during your studies in 16 hours per week in term time & full time in holiday. But you need to check course regulations first because all students are not allowed to work during term-time. Pre-departure checklist will help you to keep everything organized and save you from last minute hurdle. Please ensure that you have received the IPA (Student's Pass in-principal approval) letter before you leave for Singapore. Make sure that you undergo medical examination in home country, as specified by the visa authorities. In Singapore, you will have to submit your medical report at the authorized hospital. Please ensure that you have a valid passport for international travel with a validity of at least six months. Applicants should make sure that they have all the original copies and complete set of Xerox of their academic result and working experience (if you have) for verification in Singapore. Make sure that you have all important documents such as birth certificate, photographs, credit card. In case your documents are not in English, please get their official translation done in English. The confirmation e-mail or letter stating that you do have a place to stay at Singapore might be needed when you apply for study visa. Student must carry at least S$1000.00 for incurring the first week of stay there. Apart from this, you need to maintain Singapore bank account to make your transaction hassle free. Complete your Student's Pass formalities at the Immigration Checkpoints Authority (ICA). At almost all good educational institutions at Singapore, there is a department providing specialized services to international students. Contact the department and ask for help, whenever you need it. If you do not have Singapore currency already, you will find currency exchange counters at the airport in Singapore.